By utilizing automation with automatic gauge feed-back, we maintain the highest quality, while controlling costs. Experience you can trust since 1968. Our reputation is our word. Our skilled employees don't cut corners when it comes to making a quality product. 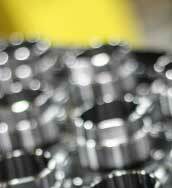 Snavely Machine - Complete production machining and resin impregnation services. Outstanding quality combined with an experienced staff. We've got you covered! 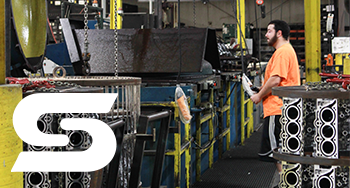 Snavely Machine and Manufacturing – Complete production machining and resin impregnation services since 1968. Founded in 1968, Snavely Machine and Manufacturing has established a solid reputation for quality product machining and resin impregnation in addition to reliable customer-service. We pride ourselves on attention to detail and our expertly trained workforce. Centrally located in Peru, IN and close to several major highways, our facility houses approximately 172,000 square feet; awaiting your next machining or resin impregnation project. We specialize in high volume production, fabricating and assembly. By utilizing automation with automatic gauge feed-back we are able to maintain a higher level of quality and offer customers a more cost effective product. These processes result in a transfer of cost savings to our customers. We provide customer-oriented machine and development design, in order to fit the scope of each customer’s individual needs. We have multiple vertical and horizontal milling machines, turning centers and welding capabilities. Great resources require qualified people. Snavely Machine & Manufacturing has both. What sets Snavely Machine & Manufacturing apart from our competition. By utilizating automation and automated gauge feedback systems, we are able to increase accuracy and reduce labor; thus creating a more cost effective, higher quality product. We are then able to pass those cost-savings on to our customer.